Cape Town - Overall, South Africa’s labour market has failed to gain any meaningful traction over the past year with the unemployment rate, especially for the youth, remaining exceedingly high by global standards, says Stanlib chief economist Kevin Lings in a company note. 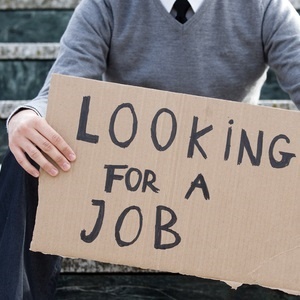 Statistics South Africa (StatsSA) announced the unemployment figures for the second quarter of 2017 on Monday, which showed that the unemployment rate remained stagnant at a worrying 27.7%. “This means that South Africa’s official unemployment rate has remained at its highest level since the data series started. The previous record high was 27.1% recorded in the third quarter of 2016,” Lings says. According to the expanded definition of unemployment, which includes discouraged workers, the unemployment rate is 36.6%, up from 36.4% in the first quarter of 2017. Lings says the high rate of unemployment contributes to the social tension and anguish experienced in South Africa on a daily basis, especially among the youth. Elize Kruger, analyst at NKC African Economics, says in a company note it is clear that the lacklustre economic activity currently characterising the South African economy is unable to sustain the job market. NKC African Economics expects “meagre economic growth” of only 0.5% in 2017. Acting spokesperson of the South African federation of Trade Unions (Saftu) Patrick Craven said that the statitsics always hide the "human misery" behind them. Saftu noted the number of recent job losses which will impact the next quarter's results. This include AngloGold Ashanti which plans to cut 8 500 jobs and Sibanye which plans to cut 7 400 jobs. Retailer Pick n Pay announced it would cut 10% of its workforce.